Children's Health | Children's Products| Ask EWG: What’s the Best Bug Spray to Buy for My Kids? Tick- and insect-transmitted diseases are on the rise. These diseases, like West Nile virus and Lyme disease, can have serious health effects and may even lead to death. In a new report, the Centers for Disease Control and Prevention warns that pest-borne diseases are “a large and growing public health problem in the United States.” See EWG’s 2018 Guide to Bug Repellents for more information. And in areas where insect-borne diseases like West Nile virus and Lyme disease are a risk, choosing the right repellent becomes a serious health issue. Is bug spray safe? And does it work? All three of these active ingredients have low safety concerns and offer a high level of protection from a variety of biting insects and ticks. Ok, so how do I pick the best repellent? 1) Find out if there is a known risk of insect-borne disease in your area or the area where you will be traveling. Use the CDC maps listed below or ask your pediatrician. If you are traveling internationally, check the CDC website for information about additional risks including Zika virus. Use one of the higher concentrations indicated in the table below based on the disease you are trying to prevent. Note that no single chemical completely repels ticks. Do not rely on any product to keep ticks away. Always check for ticks at the end of the day or when returning indoors. Consider picaridin at a 5 percent to 20 percent concentration, as picaridin is less likely to irritate eyes and skin than DEET or IR3535. However, DEET at a 7 percent to 10 percent concentration, or IR3535 at a 20 percent concentration, are still effective options with low safety concerns. Choose a concentration based on the amount of time your kid will spend outdoors. Or the repellent is not working under new conditions like a particularly buggy campsite, pants and long sleeves are the easiest option. Also, products can be slightly more or less effective based on the type of mosquito or bug and the person using the repellant. Trying a product with a different EWG-recommended active ingredient is likely your best bet. If you’re curious about specific brands, EPA’s bug spray search tool can help you find the product that best suits your needs. Always follow product instructions. 3) Finally, choose a concentration level based on the amount of time your children will spend outside. More time outside = higher concentration. How do I know which concentration to use? Higher concentration does not mean the repellent will work better. It means it will last longer. Contrary to popular belief, bug sprays with higher concentrations – like old-school 100% DEET – are not more effective. A higher concentration means the product will last longer and therefore need fewer reapplications. So, if you’re only going out for an hour, choose a lower concentration. If you’re hiking all day or camping, consider reapplying as needed or going with a higher concentration repellent. Higher concentrations are also recommended in areas where serious insect borne diseases are a risk. See below for more information about disease prevention. West Nile is the number one mosquito-borne disease threat in the U.S. Symptoms can include high fever, headache, stupor, tremors, convulsions and neurological damage. Travelers to tropical regions and some other places could encounter Zika, malaria, dengue fever, yellow fever and a few other diseases. How do I know if mosquitoes and ticks carry these diseases where I live? Or in the places I am traveling? Not all areas of the U.S. are at high risk for West Nile and Lyme disease at all times. Even so, cases of West Nile virus have been found in almost every state in the nation, with the highest 2017 numbers reported in Arizona, Texas, California and Illinois.3 Most cases of Lyme disease infection occur along the east coast from Virginia to Maine and in the upper Midwest – mostly Wisconsin and Minnesota. Check the following maps from the Centers for Disease Control and Prevention to find out where these diseases have been reported and where ticks carrying Lyme disease are often found. Can I really use DEET? I thought it was dangerous. If you want a DEET alternative, look for bug repellents with picaridin as the active ingredient. Picaridin effectively repels both mosquitoes and ticks and is less likely to irritate eyes and skin when compared to other repellents. Yes, DEET is safe when used as directed – even for children. We were shocked, too, when we first looked into it in 2013. Still, after reviewing the evidence, EWG concluded that DEET is generally safer than many people assume and remains a viable option for people in areas infested with disease-carrying pests. As rates of bug-borne illnesses rise, people need bug repellents that work well when it counts. However, health agencies offer conflicting advice about the DEET concentration safe for children. The CDC’s 2016 recommendation suggested DEET with concentrations of 20 to 30 percent for children's protection from Lyme disease borne by ticks. Health Canada recommends DEET with concentrations no greater than 5 percent to 10 percent for children.4 But this weaker concentration may not offer a strong defense against ticks bearing Lyme disease. What about natural oils and botanical repellents? EWG research indicates that, in general, botanical bug repellents are often not the best choice. The most common ones contain castor oil, cedar oil, citronella oil, clove oil, geraniol oil, lemongrass oil, peppermint oil, rosemary oil and/or soybean oil. While effectiveness varies, and there may be a few exceptions. Most botanicals only repel bugs for a short time, if at all, and many contain highly concentrated allergens. 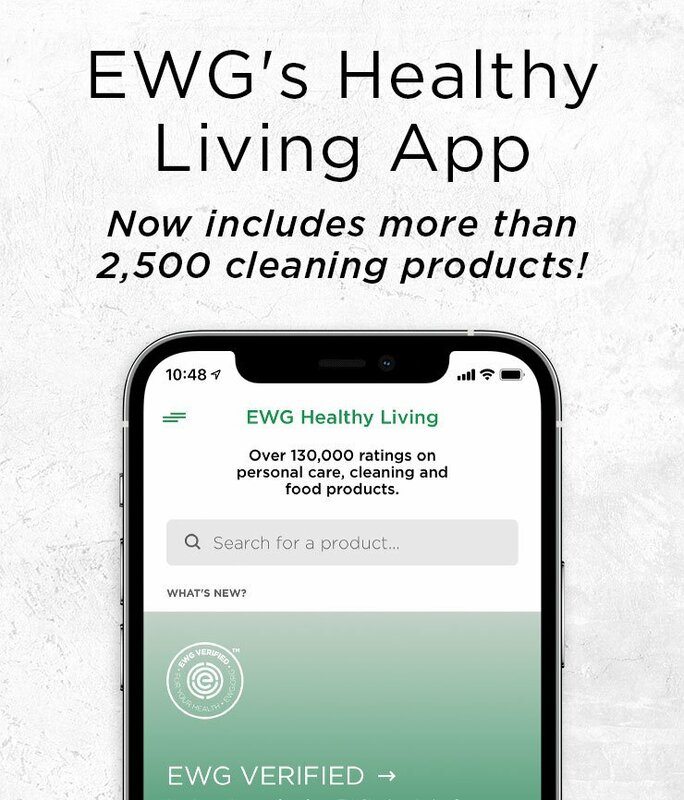 It’s better to choose one of the six effective and safety-tested ingredients recommended by EWG. EWG scientists do not recommend clip-on repellents or repellent candles, both of which can be toxic, ineffective and present inhalation risks. No, do not use bug repellents on infants under six months of age. Instead, use alternative methods like netting, fans and clothing barriers to keep bugs off your baby’s skin. After six months, however, follow the manufacturer’s instructions for application. Do you have any tips for applying bug spray on children? When using repellent on a child, apply it to your own hands and then rub them on the child. Avoid the child's eyes and mouth. Use repellent sparingly around ears. Do not apply repellent to the child's hands because children often put their hands in their mouth. Tell your kids to wash their hands after applying repellent and to wash repellent-coated skin at the end of the day. Learn more in EWG’s 2018 Guide to Bug Repellents and stay safe out there!